This section of the last-minute shopper's guide shouldn't detain us long. For such an exciting and - some would say - glamorous trade, journalism has done badly in the world of literature. We are not good at translating our world into fiction - and nor are outsiders. Scoop, of course, stands supreme. It was written in 1938 and is completely farcical. 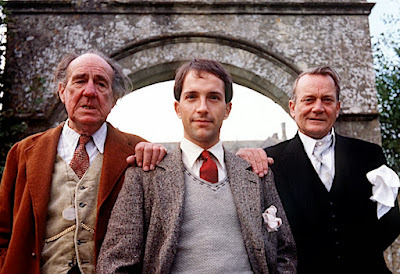 Yet today we still recognise the characters in our own working lives, we still say 'Up to a point, Lord Copper', we still urge young foreign correspondents to make sure they don't forget their cleft sticks, and a modern incarnation of the Daily Beast lives on in cyberspace. Waugh's mini masterpiece - it is only just over 200 pages - is unusual not just in its classiness, but in its choice of sending its central character to cover a war. An overseas posting is the dream of many young journalists, to be a war correspondent the pinnacle of that particular mountain. The men and women who bring us the news from the Middle East, Africa and Russia are our modern-day heroes, the best-known names in the industry. Yet most fiction about newspapers seems to involve crime, fashion, politics. Few authors make foreign correspondents their protagonists. 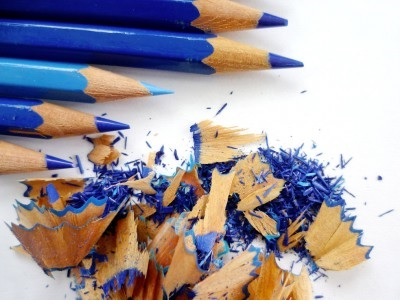 Even fewer try to create an ensemble novel based on the characters within a newsroom. 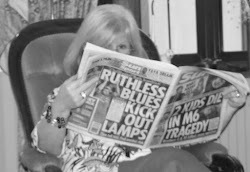 And those who do tend to fall into the stereotyping trap - young floosie, curmudgeonly old editor/news editor/chief sub (usually Scottish), eager beaver young reporter who needs to be helped along by mother hen features writer. It's no surprise that these efforts tend to end up in the 99p dumpbin in The Works rather than at the top of the best-sellers' list. 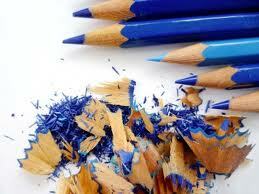 Perhaps we fail because life in a newspaper office maybe pressured, but it also is pretty humdrum. Maybe we just don't think other people would be interested in our way of working. But we know, from the way that we get button-holed in every social situation, that that isn't the case. 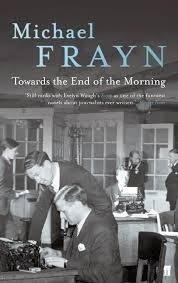 Michael Frayn made hay with the stereotypes in his classic Towards the End of the Morning, removing every trace of glamour from Fleet Street as he walked straight past the newsroom, the features and the executives to focus on the crossword and nature writers. Jeffrey Archer must have written at least a dozen books before he turned his eye to the Press to produce the political novel The Fourth Estate. Ian McEwan won the Booker Prize for Amsterdam, in which one of the two central characters is a newspaper editor (reportedly modelled on Sir Peter Stothard, erstwhile editor of The Times). Yet he shows no understanding of the way a newspaper works - the notion that an editor would tease readers for weeks about some scandalous pictures he plans to print while still deciding whether to publish is bonkers. So let us wish the current crop of writers good luck with their books, many of which are self-published. 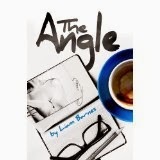 Liam Barnes, a junior reporter at the Stoke Sentinel, is out in front by a country mile with his e-book The Angle. The graduate wearing his knowledge on his forehead style of writing grates to start with, until you realise that Chris is supposed to be bumptious, up himself and world weary at 21. Here is a young reporter with ideas and ambition imprisoned in a world of cutting and pasting press releases, a world where nothing must rock the boat, no imagination encouraged. Our man's progress up the ladder to disillusionment is charted alongside the albums of the singer he loves from afar, their worlds meeting at key moments in their two careers. But this is a story not about a man's devotion to a woman but about his devotion to his craft. The book is set firmly in the modern era, where there is no room for sentimentality. Barnes rails against a training regime that churns out graduates for whom there are no jobs and against the penny-pinching that means journalists cannot do their jobs properly. But he accepts the digital age, shares some of its tricks and admits in his footnotes that while he hopes he has written a book, he accepts that it's really just another blog. It isn't. And it's well worth £2.99 of anyone's money. But what a shame that publishers are so focused on cookery books, celebs and copycats that they have no room for books like this. Do we really need shelf after shelf of books with black covers and grey ties or black covers and red dresses? Campbell Fletcher has actually got his book The One About the Editor into print - but again through a vanity publishing company. His central character is an overworked editor of commendable probity who has decided to say goodbye to journalism and say hello to his wife and the golf course. Of course, there has to be a last hurrah and this comes in the form of some dodgy photos that tax his ethics and a murder. See, crime just can't keep its nasty nose out. 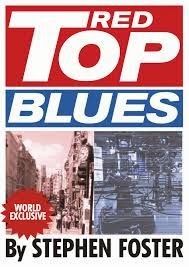 The editor in Stephen Foster's Red Top Blues is also ethically challenged - he finds his boss in a compromising position with an MP, which would put anyone in a spot. This editor is described as the baby of Fleet Street - at 38? - and labours under the unlikely name of Tarquin Pratt. Circulation is falling and he needs a parachute; maybe the boss's paramour Piers Golightly will provide one. "Nick Paice is a newsman who has seen and had better times. Covering conflicts and disasters around the world brought its success, but at a heavy personal price. Being one of the best in the business was achieved by a ruthless and often callous pursuit of the story that left ruined reputations and broken lives, not to mention a wrecked marriage and estranged children, in its alcoholic wake. But disillusionment has set in. The world of news is changing, and, for Paice, not for the better. Can he change with it and does he want to? With his enthusiasm on the wane, the stories have stopped coming. But the job is his life, and his life is the job. He needs a big break to get them both back on track. When it comes it is in the form of a mysterious figure with a bloodstained past and a tale that could put Paice back on top. The passion for news that made him the best is rekindled and the old fervour returns. But Paice is bad at making friends and good at making enemies. A multi-millionaire fraudster, former Irish terrorists, and a genocidal killer from an African conflict count themselves among the latter. Only when the body count rises and the bullets fly does Paice realise that he may be pursuing a headline to die for. This is a story of financial fraud, old enemies out to settle scores, a covert military operation that went wrong, and powerful people determined to stop Paice revealing the truth at any cost." "A dead hack, a private eye on the run, a sinister billionaire. It's front page news. Liv Paxton, whipcrack smart chief of London’s biggest murder squad, is hunting the men who slaughtered the reporter at the very heart of the celebrity hacking scandal. As the killers claim another victim, Liv discovers the reporter had been tortured by professional interrogators before he died. What secret story was so dangerous that it cost him his life? Liv quickly finds herself of up against powerful and implacable enemies - on both sides of the law. Enlisting the help of her best friend, newspaper boss Louise Brighouse, Liv enters the world of a mysterious Tartar oligarch and crosses swords with a psychotic underworld kingpin who vows vengeance on her. "Her own life is on the line as she peels back layers of deceit and treachery to unveil the most terrifying criminal conspiracy London has ever seen. Hacked is the first in the series of Liv Paxton crime novels." Hosier has garnered some flattering reviews for her book.We can only say good luck. Now it's time to move into the heavier non-fiction world of journalism. Next up: the state of the industry. No mention of Jim Kelly and his ex-Fleet Street hero Philip Dryde, now marooned in Norfolk. Shame!